Chili is one of those meals that can be doubled or tripled without much thought, which is perfect when you need to feed a bunch of hungry guests. Sometimes, though, you can get overzealous when cooking, and then you find that there's a ton of chili leftover. No worries—leftover chili can be used in myriad ways, from combining it with rice for stuffed bell peppers to cooking it into a casserole and topping it with cheese. 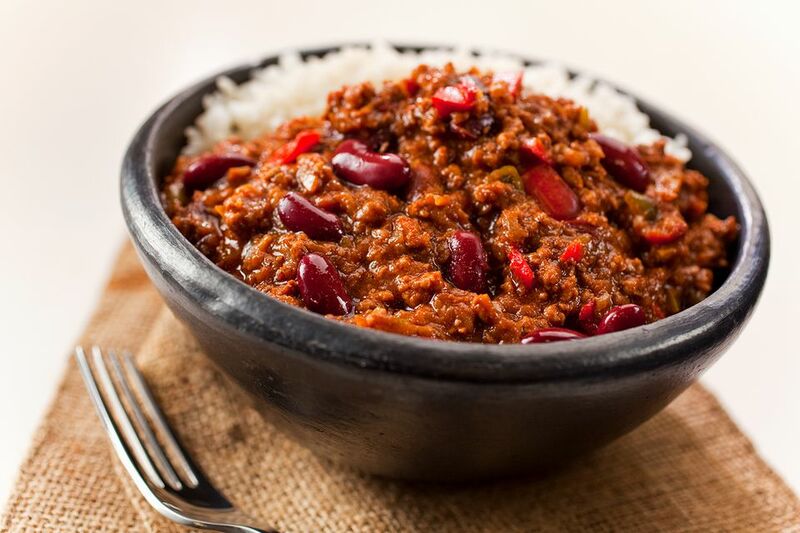 If you are not going to use the leftover chili right away, simply freeze it to enjoy later on. Chili will keep frozen for several months if you use freezer-safe zip-top bags and squeeze out as much air as possible before sealing. 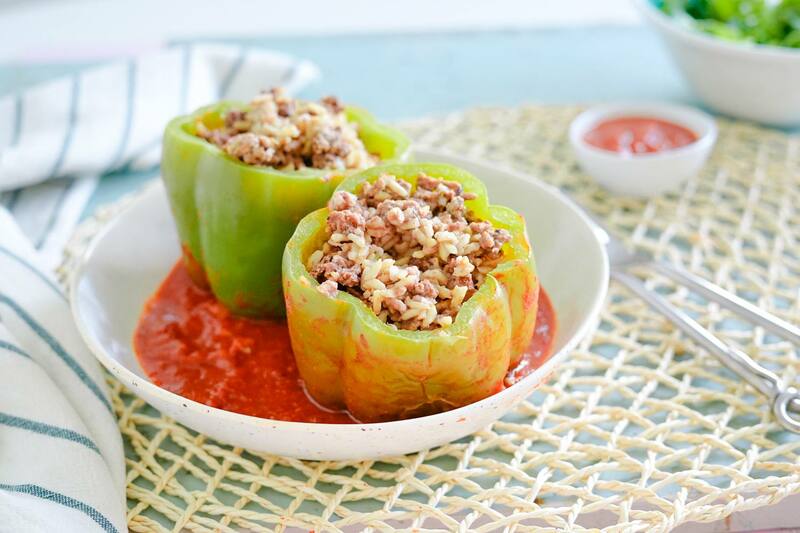 If you have fresh bell peppers, this is an easy dinner: Combine your leftover chili with some leftover rice, add a bit of cheese (or a bit of salsa, if you have some leftover as well) and stuff the mixture inside a bell pepper. Bake the peppers until they're a little soft and the cheese is bubbling. If you want to increase the protein content, use cooked quinoa instead of rice. There are plenty of chili casserole options to try out, from a simple dish of chili topped with cheese and corn chips to a more elaborate layered casserole. For example, you can make a Shepherd's pie with chili that's been modified by adding peas or other extra vegetables, topped with mashed potatoes, and then baked. Leftover chili can also be topped with a cornbread batter and baked for an easy version of tamale pie. Whether you're getting ready to tailgate for the big game or you just want a filling snack for the afternoon, chili cheese dip is the way to go. Simply mix up your leftovers with cream cheese, salsa, and freshly grated cheddar cheese. Bake for 20 minutes until bubbly and serve it with tortilla chips and freshly cut veggies. Indulge in the epitome of comfort food with chili cheese biscuits, easily made by topping store-bought biscuit dough with leftover chili, chopped pepper and onion, and shredded cheddar cheese and baking until puffed up and browned. This makes a perfect party appetizer or quick dinner for the kids. While you could make up a taco salad by browning some ground beef with taco seasoning, you can also make things easier on yourself by using leftover chili as a topping. Heat up the chili, and then use about a cup of it as a topping for your choice of greens, whether it's romaine, spinach, or spring mix. Ramp up the texture and flavor by topping with crushed tortilla chips, sprinkling cheddar cheese over the chili, or adding corn and fresh bell peppers. If you have pre-made taco shell bowls, those provide the perfect solid base for this salad. And don't forget the guacamole and sour cream! For a macaroni and cheese that's got a bit of heft to it, try adding some leftover chili to the mix. Toss cooked elbows with the chili, sprinkle in a bit of shredded cheddar cheese, and cook until the cheese is melted. If your chili has a nice dose of vegetables, you've got a complete meal the whole family will love.